You’ve finally found your perfect dream home, complete with a crystal-clear pool that’s ready for you to enjoy in the warm summer sun. After the seller accepts your offer, you contact a home inspector to inspect the house. You know the inspector is going to examine your new home thoroughly, but do you know if that beautiful pool is included in the inspection? Odds are, that unless expressly stated by the inspector, the pool won’t get the same attention as the foundation, roof and windows. Some home inspectors offer a limited pool inspection, only investigating issues that appear on the surface of the pool, like possible safety barrier issues, speculation on equipment and plumbing, as well as comments on the appearance of the pool condition. Bottom line, you receive little substance and the “go to” recommendation for a pool professional to validate their deficiency speculations. You wouldn’t feel comfortable buying the house with a limited inspection, so why is it OK for the pool? Unfortunately, prospective homebuyers often assume that the home inspection includes the pool. 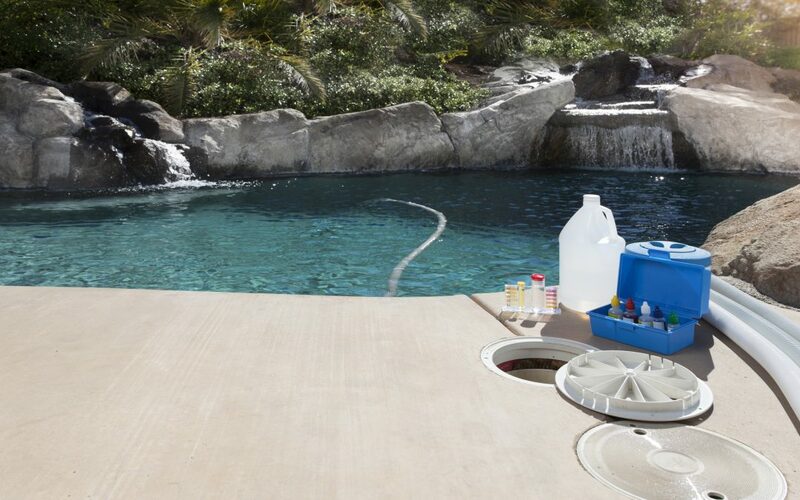 Viewed as an outdoor accessory and luxury item, pool repair can be expensive and time consuming. If your home inspector isn’t qualified enough to actually recognize and diagnose properly, then you could be stuck with a hefty bill after closing, or worse, miss buying a great home because they “over-speculated.” Frankly, using a pool professional company for pool inspections leads to the same results, little information or over-speculation on repairs/improvements. Don’t leave one of your biggest life purchases up to chance or settle for a limited inspection. PoolFax is the only national brand offering certified pool assessments with a standardized “PF Class” or pool classification rating, and a “Quality of Ownership” or QScore. Age. Some pools are built with the house, others have been recent additions. Manufacturer. Oftentimes, general problems can be associated with a manufacturer, which helps repair technicians troubleshoot more efficiently. Pool size. Knowing the size of your pool can help with future repair estimates and renovations. Construction materials (cement, fiberglass or vinyl). Knowing your pool’s construction materials can help determine its remaining lifespan. After the inspection is complete, the PoolFax certified inspector provides a written report, similar to a home inspection. Within the report, the inspector will make maintenance recommendations and identify if the pool needs any immediate repairs. The report also includes a “Quality of Ownership” score and a PF Classification. These scores and classifications let you know the expected ownership value and recommendations for extending the quality lifespan of your pool. In addition, these measurements can be extremely helpful if you ever plan to sell your home. If you’re getting ready to purchase a home with a pool, and you’re unsure if your home inspector has the specific expertise to provide a thorough inspection, contact PoolFax today. With a certified PoolFax inspection, you can be sure that you’ll be able to enjoy your new swimming pool as soon as you finish unpacking.